Sometimes it takes very little Effort to make a big Difference. If you have left-over Bricks from the House Building Process, this could be just one nice Solution to put them in use. Just stacked on top of each other with no cement. We often fabricate in our Workshop to shorten the time for the install. We can install all kinds of Blinds. A fresh looking Custom-made Home Office. The Printer is located in the center piece and can be pulled out for better access. 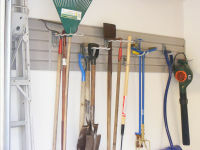 You have plans to get organized in the Garage or attic. Call me and we work out the best Solution for YOU. Wall Panel work installed on a Kitchen Island looks really great and resists heavy foot traffic. 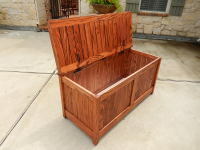 We make those Holders and you may pick the stain color. Barn Doors now widely available. You have plans to get organized in the Garage or Attic? Call me and we work out the best Solution for YOU. 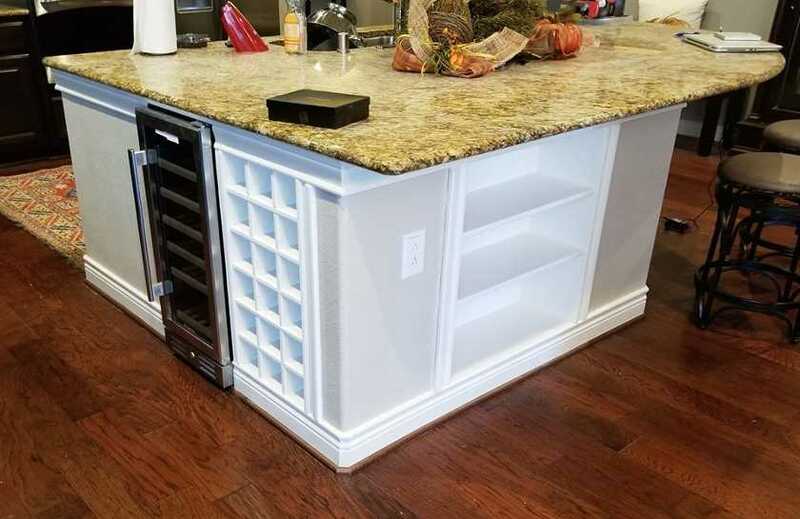 Adding Hardware to your Cabinets makes a big difference. 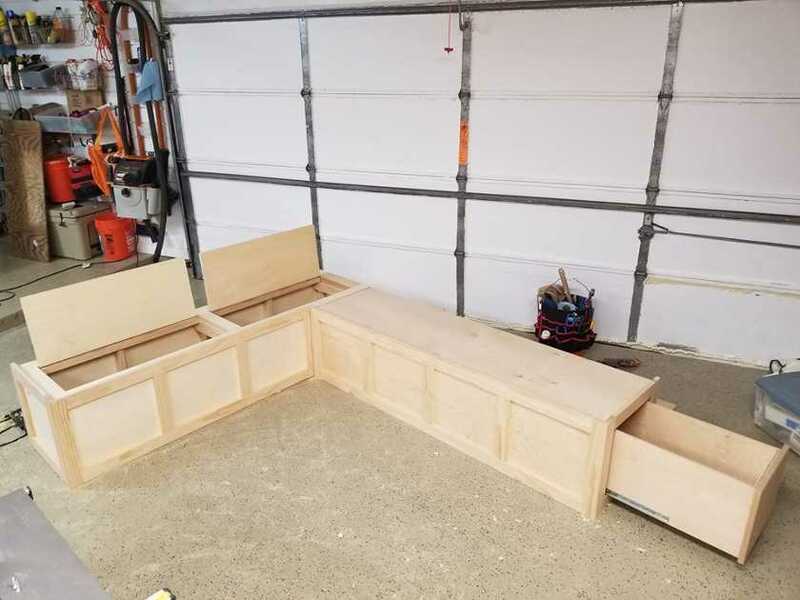 Outdoor Bench Custom-made to store all your Outdoor Cushions.